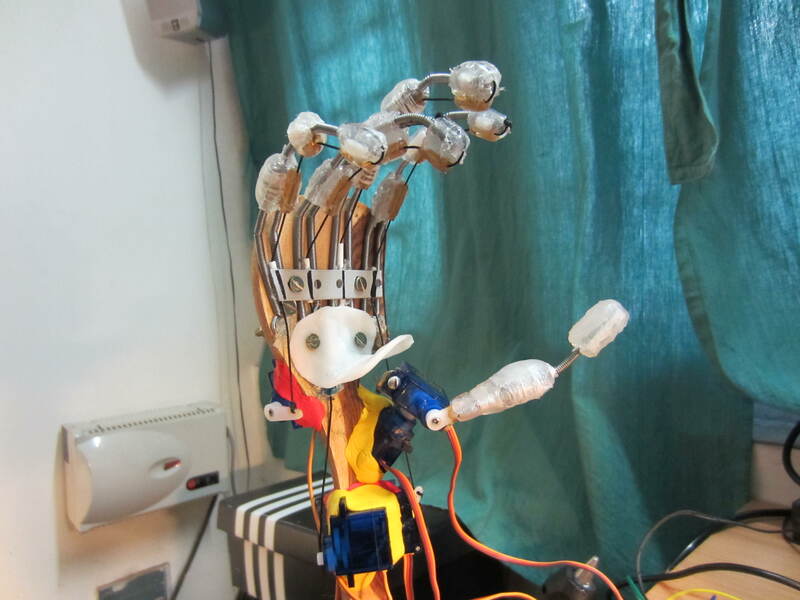 This project brings together the DIY Haptic Control Glove and the Robotic Hand that I made earlier. The cost of this entire project was less than 25 US$. For details on how they were built and how they work, just follow the link for each. This video demostrates the complete project. To test the working of a robot hand like the one I built earlier, I needed a haptic control glove that would encode the flexing of my fingers into electrical signals. These signals would be interpreted by a microcontroller (like the ATMEGA328 on the Arduino platform) and cause the servo motors on the robot hand to mimic my finger movements inside the glove. Electronic puppetry. The word robot comes from the Polish word ‘robota’ meaning forced labour. In Russia, robota means just work, employment or operation. Funny, I’ve spent nearly two years in Russia and have probably spoken this word many many times, never really realising that it is also the root word for robot! Anyway, this post is a photo-essay/tutorial on how I built my new robotic hand. Thums Up! and sideways as well. Initial tests of an opposable thumb for my Robotic Hand Version 2. Controls for the other four fingers are in the pipeline. keep them crossed!! 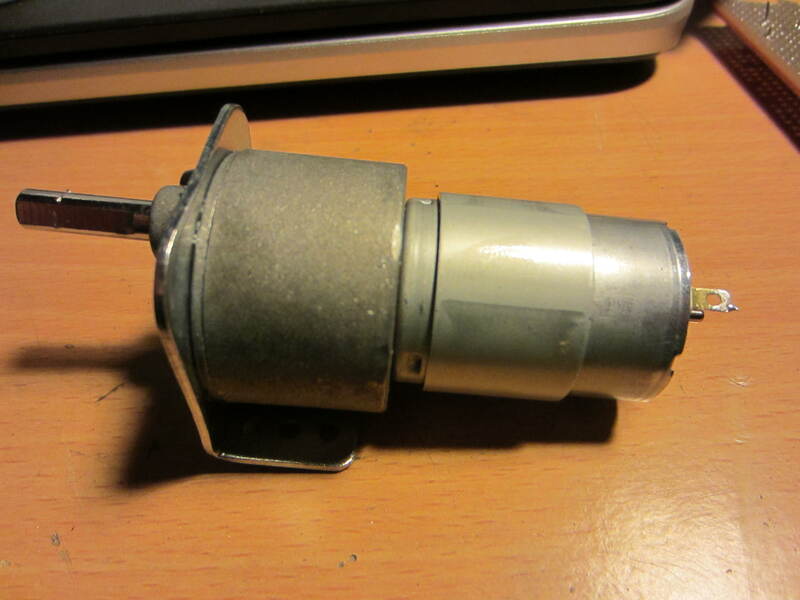 DIY Servo Motor: Cheap and with Plenty Muscle! DC Motors can be made to turn either clockwise or counter-clockwise by changing the polarity of the voltage applied to their terminals. The torque that is generated at the output shaft can be scaled up or scaled down by using a gear train. In most motors, like the one shown below, the gear train scales up the torque of the motor by using a reduction gearing that outputs a much higher torque (albeit at the cost of a much reduced output RPM).